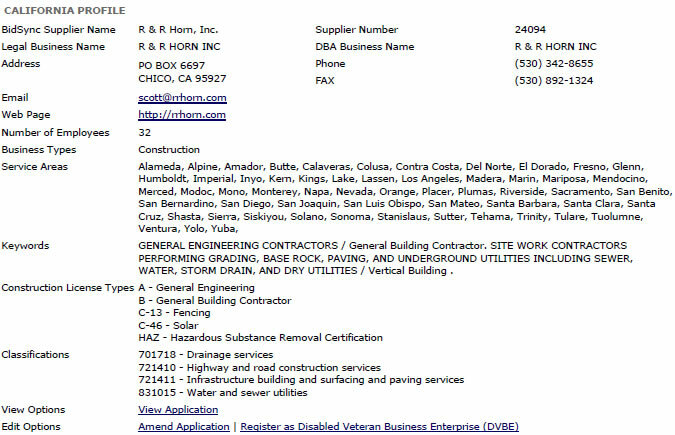 R&R Horn, Inc was established in 1992 by Richard Horn with a single backhoe. The company incorporated in 2000 as the company's equipment fleet and trained personnel capacities expanded. The company has experienced tremendous growth over the last ten years, more than quadrupling its size. Today, the company has over 40 employees and a heavy equipment fleet of 50 units. R&R Horn, Inc. is a Certified Small Business. "A business built on community values with its vision keenly focused on technology and sustainability." R&R Horn, Inc. is a certified installer of ECS Inc., EPIC System, a sustainable irrigation system.